Scottish Independence – so what happens next? This post gives you the answers to ten of the most pressing constitutional questions currently being asked. 1. 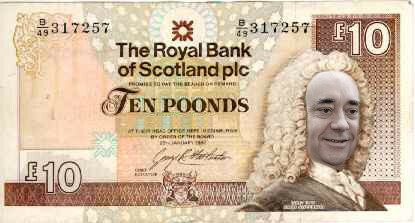 What will the new Scottish currency be called? This has already been decided: the Scottish “Poond”. 2. Will the “Scottish” Banks have to move out of Scotland? Major banks will continue to be administered from the Cayman Islands, just as they have been for many years. 3. I have property in Scotland but live in England, will I need dual nationality? As a transitionary measure, HMRC has confirmed that people with majority land assets in Scotland will by default be considered Scottish. 4. Will Her Majesty The Queen need a visa? Yes, because Queen Elizabeth II will be a Scottish national by default (see question #3 above), she will pay tax in Scotland by default. The cost of keeping the Queen will therefore also fall to Scottish tax-payers. As a result, Her Royal Highness will therefore need a visa to visit Great Britain. Moreover, Debrett’s has confirmed that because Her Majesty The Queen will be the first Queen of Scotland named ‘Elizabeth’, she will henceforth have to be known as “Queen Elizabeth I of Scotland, formerly Queen Elizabeth II of the United Kingdom”, or (more usually) “Queen Elizabeth I of Scotland“. 5. Will His Royal Highness Prince Charles need a visa? Because Prince Charles owns more land in the rest of the United Kingdom than in Scotland, he will – unlike his mother – have British citizenship by default. He will therefore need a visa to visit her in Balmoral. 6. Will Her Majesty The Queen have dual nationality? Until such time as Queen Elizabeth I of Scotland is granted dual nationality by the British Parliament, she will have Scottish nationality rather than British nationality. Hence Scottish Independence means that Prince Charles will immediately become King Charles III (or perhaps King George VII) of the United Kingdom, and will have to abdicate should Queen Elizabeth I of Scotland become British again and wish to re-ascend to her former throne. According to Debrett’s, her official title would then be “Queen Elizabeth I of Scotland and II of United Kingdom”. 7. What will Scotland’s official name be? Because Scotland had its own King when the Union of the Crowns began in 1603, the default constitutional position there is that a monarch would need to be put in place immediately following a vote for independence. Its official name would therefore be “The Kingdom of Scotland“, with Queen Elizabeth I of Scotland its first monarch since the 1707 Acts of Union. The Scottish people would therefore need to hold a further referendum in order to choose whether to become independent of its own Royal Family. 8. What about the Union Flag? Many historians and political commentators have pointed out that retaining the blue colour in the Union Flag following Scottish Independence would be historically anachronistic. 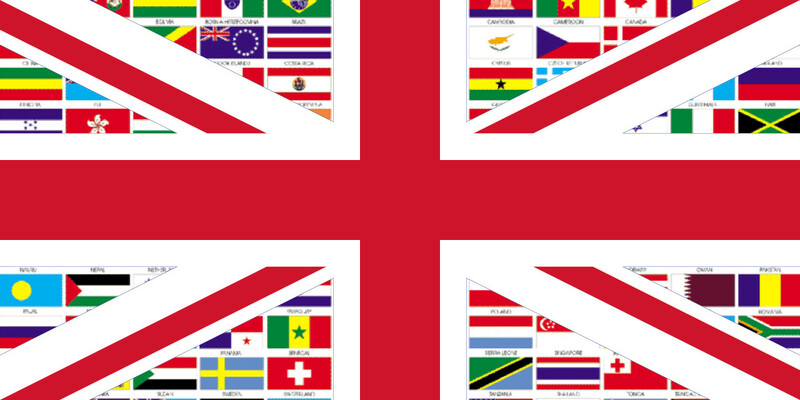 It has also been widely pointed out that the Union Flag’s current colours do not express the rich cultural diversity and cosmopolitan diversity of the nation: and so it does not genuinely reflect modern-day Great Britain’s ‘Union’ of cultures. As a result, proposals to replace the blue areas of the Union Flag with the colours of flags representing nations with significant ethnic subpopulations – such as Poland, Pakistan, and India – are currently at committee stage, but no decision has yet been made. 9. What about North Sea Oil? This will continue to be passed off as ‘beer’ in Scottish pubs. 10. Are you serious about all this? Och no. Not at all. Not even slightly.